THE Australian Koala Foundation (AKF) is pursuing a campaign aimed at securing the support of federal MPs for a Koala Protection Act before next year’s federal election. 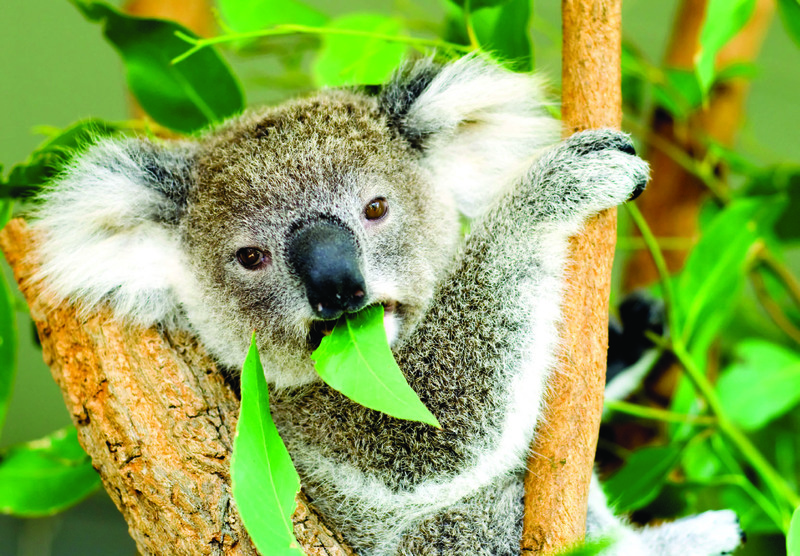 The sole objective of the AKF’s “Koala Army” campaign is for the introduction of a federal law guaranteeing the koala the highest level of protection possible for an animal species nationwide. Australia Koala Foundation CEO Deborah Tabart said politicians at all levels had ignored dwindling koala numbers for years and it was now time to take action. “The quality of our politicians is absolutely not good enough at this critical time in history,” Ms Tabart said at a community conservation event in Brisbane’s south. “So we are waging peace for the koalas,” she said. The Koala Army campaign, which is aimed at a younger adult demographic, encourages supporters to register their concerns with their local MP and to ask them to rate their response to five specific questions on a scale of one to five “claws”. The questions ask MPs whether they support the koala being listed as a vulnerable species, whether they would support koala-friendly housing estates, whether they will act to save vegetation critical to the koala, whether they will approach local governments to protect the koala, and whether they value the koala as an Australian icon. Ms Tabart said the questions were a necessary part of the campaign because it was hard to get politicians to give clear direct answers to important questions such as these. “Liberal and Labor are saying: ‘Oh yes, we love koalas, we’re going to protect them’, but the questions they won’t answer,” she said. The AKF has also embraced social media, taking to Facebook and Twitter as a means of communicating with the public, both at home and overseas. “People from all over the world are enlisting in this army, and next year there will be recruiting posters and I will roam the country encouraging people to ask [these five] questions of their politicians who they are going to vote for,” Ms Tabart said. “I am very serious about this and it will become an Act once we get it through, so we’ve got two chances, one is next year with the federal election or in three years’ time. In February 2011, the Australian Senate held an inquiry into the status, health and sustainability of Australia’s koala population, which lead to a number of historic measures being put in place to preserve koala habitat, including the decision to list koalas as a threatened species in Queensland, New South Wales and the ACT. Notably koalas in other Australian states and territories were left off the list, but Federal Environment Minister Tony Burke said it was because the koala populations in Victoria and South Australia did not need to be protected at this time. “Koala numbers vary significantly across the country, so while koala populations are clearly declining in some areas, there are large, stable or even increasing populations in other areas,” Mr Burke said. “In fact, in some areas in Victoria and South Australia, koalas are eating themselves out of suitable foraging habitat and their numbers need to be managed,” he said. The lobbying behind the inquiry was championed by the AKF and Ms Tabart, who said while the outcome was a win, the attitude of some politicians and developers was a major concern. She did, however, list Senators Doug Cameron (Labor) and Larissa Waters (Greens) as outstanding advocates for koala conservation. Ms Waters said she disagreed with the decision to only list the koala in Queensland, NSW and the ACT. “It would have made more sense to give the koala a national listing, instead of waiting for koala populations in South Australia and Victoria to fall into decline without protection, like those in Queensland and New South Wales,” she said in a statement. Mr Cameron said he was “extremely pleased” with the decision to list the koala. “As Chair of the Senate Environment Committee Inquiry which recommended listing I was extremely pleased with the Minister’s decision in April this year. Mr Cameron said he agreed that the attitude of developers at the Inquiry was alarming, and labelled them one of the koala’s main predators. “Developers were single-minded in their pursuit of profit,” he said. Ms Tabart said the AKF funded $8 million research that was handed over to the Senate Inquiry. “Basically we think there’s less than 100,000 koalas left in Australia, and I personally think it’s much less than that,” she said. In fact, in a submission to the Inquiry, the AKF estimated the total Australian koala population to be somewhere between 43,000 and 84,000. 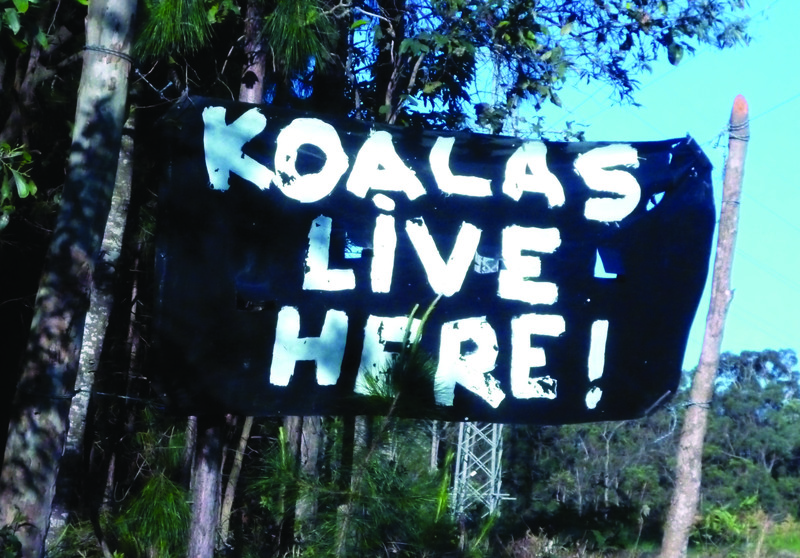 “At the Senate Inquiry, at least we got the ridiculousness on the table,” Ms Tabart said, referring to the attitudes of the politicians and developers who were opposed to introducing measures to protect koala habitats. Despite this, Ms Tabart said she was hopeful for the future of her organisation and the Koala Army campaign in Australia. “The Koala Protection Bill will be very strong and very powerful. We’ve got American and Australian lawyers testing it, putting all the things that have lost over the years up against it,” she said. “Perhaps we can put [Environment] Minister [Tony] Burke’s telephone number on it,” she joked in response to an audience member who volunteered to decorate their caravan with Koala Army material. Queensland’s koala population received another boost in October, when the state’s Environment Minister Andrew Powell revealed the government would spend $800,000 over the next four years on koala protection measures. Mr Powell told the media the funding would go towards “conservation programs beyond habitat protection and enhancement”.